This was January 2016’s Classic of the Month mod. 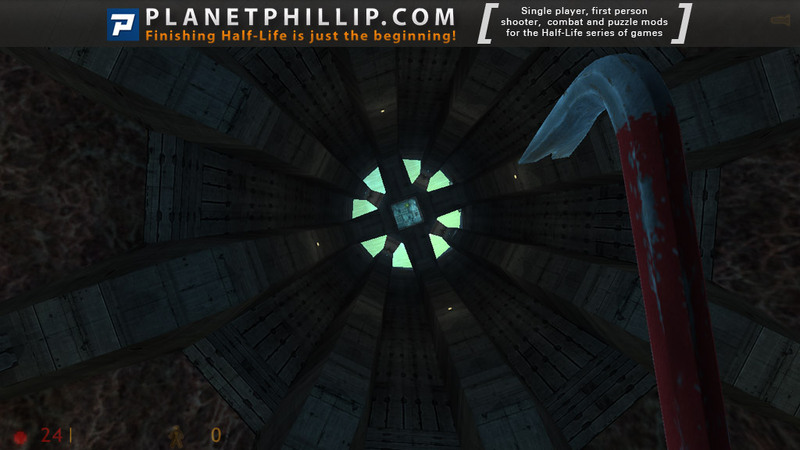 Copy the someplace_else folder into your Half-Life folder. Someplace Else should now be listed in your Games tab. Statistics based on 15 comment(s) with meta review data. 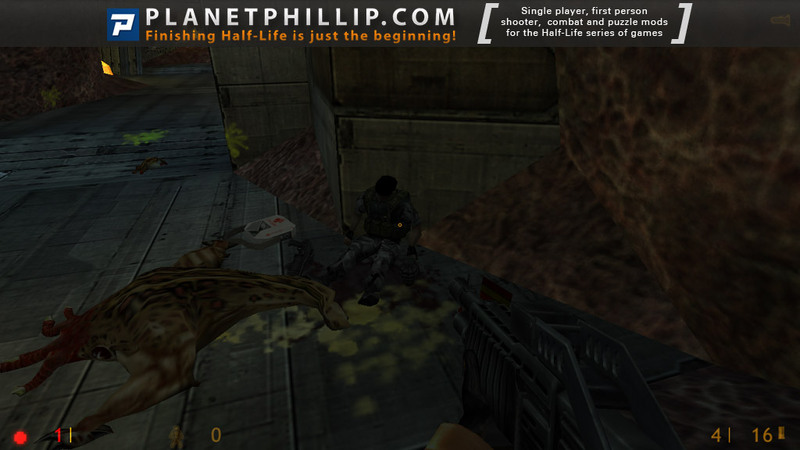 Half Life. First time I played it was many years ago now, but it was simply the best gaming experience I’d ever had or have had since. The levels, story, everything was just brilliant. Recently I’ve been going through my old back catalogue of steam games, replaying all the old classics like Blue Shift, Opposing Force etc etc. However, once that was done I was at a loss, I wanted another single player mod (very rare now, they all seem to be multiplayer). I wanted a new and fresh storyline, I wanted to have that feeling again I did when I played the original. Then I remembered Minerva, my current favourite single player mod for Half-Life 2. 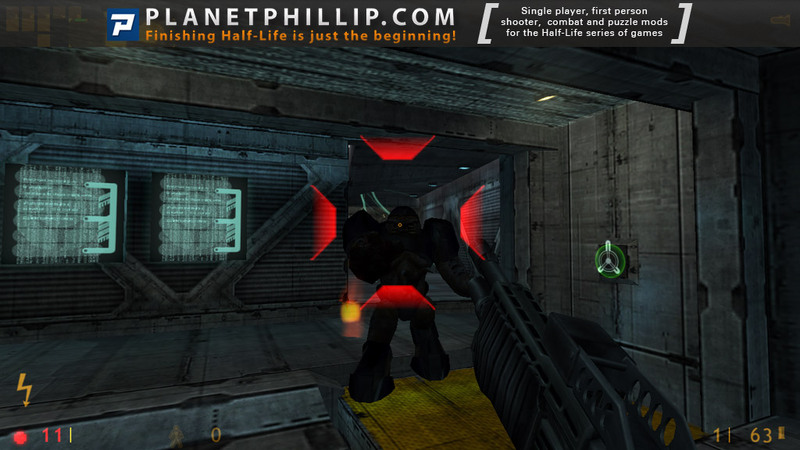 However it wasn’t this that sparked my memory, it was the fact that it had a predecessor for HL1 that I had never tried. So I downloaded Someplace Else and fired it up. Let me start of by saying, this game is weird. The messages that sporadically pop up are highly cryptic yet add a sense of mystery to the whole shebang and the mapping is simply excellent, especially considering the mod is many years old now. The puzzles are hard, that is the first thing I have to point out. Forget your usual block and button pushing (although that is what you do here) the sheer scope of what you are doing actually means something. Push a button in Doom, it opens a door further down, big whoop. Here you are slowly figuring out the mystery and finding a way home with every turn of the little tri-pronged buttons. And that is what the best thing about this mod is, you don’t feel like you’re following a path laid down by some teenager who just wanted to learn a few Hammer skills. You feel like you’re following a novelists best piece of work, you feel as if the world into which you are peeking is a living, breathing, alien place and the only semblance of sanity comes in the form of a helper who never reveals themselves and yet you must trust implicitly. Now, back to our reality, this game is hard. I’m not talking your usual difficult, this is back to the wall, guns blazing hard. Unless you play it smart (grenades are most certainly your friends here). Also as you finish you are left with just as many questions as you begin with, none of which have been answered in Minerva yet either. This makes me wonder if this is turning out to be like Lost, a new plot twist every week, but no sense of any clues coming any time soon. Overall, Someplace Else does not feel like your usual run-of-the-mill modification. Perhaps the best way to understand just what makes this game so different is to simply play it. Oh, and the ending credits are a nice touch. My rating: 95%. This review was written by Luke Lanchester and first appeared on Hybrid Logic and is republished by permission. Adam Foster is a very talented and skillful sp-mapper. I would like to see him involved in a larger project – with Koumei Sato. No crates, no airducts, no loading screens either, this single map is one of the experiences I wish I had more frequently. Do you want quality over quantity? Download this. Hmm… the archive I’ve downloaded is called “someplace-else-steamver”. Since I don’t use Steam (and simply refuse to install it for any purpose), will it work for me? It will work for non-steam versions too. 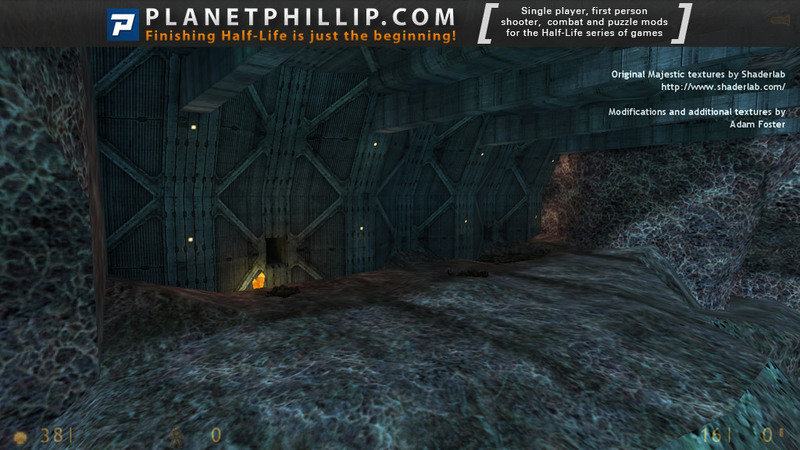 Simply put the “someplace else” folder into your Half Life directory. Make sure to read the readme for any hints/tips. Wow, wow, wow… this is quite possibly one of the most unique maps I’ve ever played. New textures are utilized to create a Xen environment unlike any you’ve ever seen. 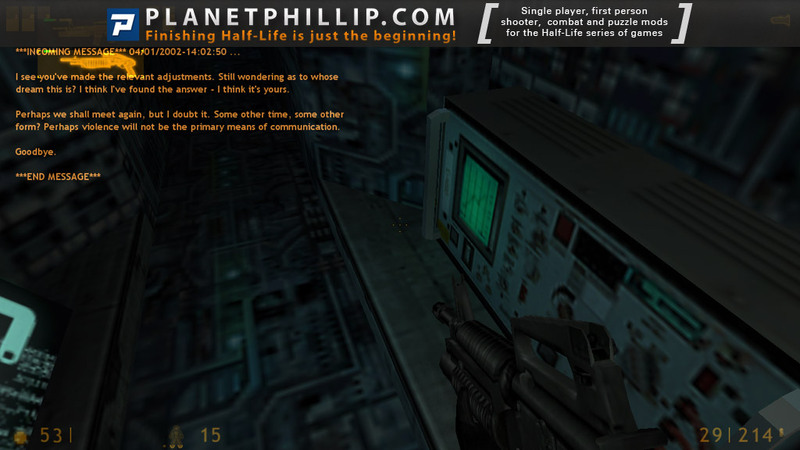 The archaic text transmissions from an unkown sender serve to add mystery and intrigue, which leave you begging for more (hopefully more will come in the author’s episodic Half-Life 2 mod, Minerva!). In spite of the map’s relatively small size (environment-wise, not filesize-wise), it manages to provide a pretty hefty chunk of gameplay goodness. This map had me riveted… right up until the end, when it closed with one final, profound transmission. A must play for everybody. Steam is not recognizing the folder and isn’t adding it to the games list. I have tried putting in different folders, and yes, I did restart Steam. Anyone else having this trouble? Much ado about… not as much as I would have liked. The metaphysical element doesn’t tie in with the gameplay at all, and so doesn’t make any sense. Because of that disappointment the game is less than it’s attractive bones would have it. Once past the window dressing, it’s adequate running and gunning in an unusual environment with interesting textures. It’s very good. Although it was years ago, that I played it, I immediately recognized it. However, it is already listed. It is part of one of these collection mappacks. I just can’t remember if it’s CWC mappapck, Project Quantum Leap or Issues. whats project: quantum leap? can I get a link please? Please search before asking for help that is easy to find. This thing is a little tougher then the others imo-Right now I’m stuck in the big building after killing the enemy. There is an overhead ramp and I just played the message that said to try not to kill all the locals. Where do I go from this big room? I went down and back into another tunnel and killed those things and there are two ladders going down. When I climb down I can’t get off the last rung. The game only lets me go up. Is this a bug? Not sure where you are.If you mean it says “try not to antagonise the locals” then activate the switch in the big room and go back to the beginning.Now the gravity thing is activated. Two areas Andy-the switch in the big room where the message was played, where is it? And in the tunnels there are two ladders going down. When I reach the bottom of either one,I can’t go foraward, only back up.Is this supposed to happen or is this a glitch in my system or the game.? I tried turning things down but there is no “advanced” option in the settings in options section on this. 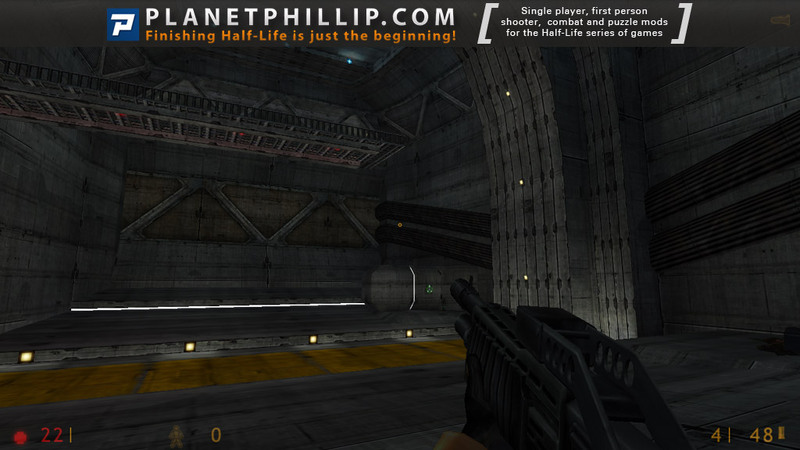 This mod is probably one of the best there is for the original Half-Life, even when taking in consideration that it is quite short. First of all, the detail of the level design is absolutely magnificent, which is a rare achievement for a mod set in the Xen universe. The puzzles are interesting because they are not present in an excessive amount, nor do they replicate the repetitive ones of the original game too much. As for the combat, it is never too hard, or too easy, and the presence of ammunition if more than well balanced. 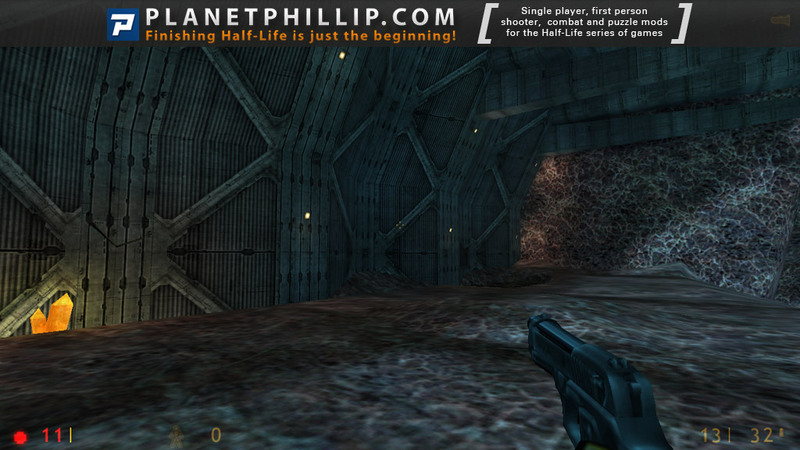 If you have never tried Someplace Else, you are missing one of the numerous third-party gems of the original Half-Life. Adam Foster is a talented mapper that deserves the utmost recognition. HLSP maps with a Xen setting typically deserve low expectations. Most do, after all, feature annoying/tricky jumps and/or otherwise uninspired gameplay, sometimes with the weirdest level design. Then there’s Someplace Else, a Xen map that just about completely defies the norm. Most Xen maps have either laid-back combat with the lesser aliens, or really annoying scenarios with aliens like the masters, grunts, and slaves. This map instead offers a combat experience that’s more straight-up than anything, with a nice mixture of barnacles, headcrabs, bullsquids, and alien slaves & grunts, with just the MP5 and shotgun to dispatch them. The rest of the alien cast goes underused, which is unfortunate, but totally understandable since combat is fine and more than challenging enough the way it is. It scales well…too well, in fact, so Medium is highly recommended. Gameplay has none of the typical Xen-ish annoyances so prevalent in other SP maps and HL itself, and this is certainly a welcome breath of fresh air. It’s an HL-classic style experience that even includes a few puzzles (always good), not to mention a heavy dose of atmosphere. CD music is certainly a factor there, but it really comes from a certain gameplay device—the otherworldly intelligence that communicates with you rather frequently. A nice touch, and it really makes the map overall strangely compelling, with a provocative ending to wrap it all up. With excellent level design that only supports the entire experience and makes it decidedly sci-fi, one could think this was a re-interpretation of LV-426 from Alien/Aliens (1979/1986, respectively). From the inspired, detailed architecture to the fresh gameplay formula and “standard” combat, everything comes together so well in a way that’s simply unprecedented. For this rare achievement, Someplace Else earns the Ten Four Gold. Essential for cynical players and uninspired mappers alike. This review is republished here by permission and was originally published Friday, 14th February, 2003 by Calyst. WOW, what can you say about this map? It’s amazing. Not only in its design and feel but also the story’s depth. This is a masterclass on using limited assets but making it feel varied. The layout is small but used very well – most places you pass through twice, but it never feels cramped or repetitive. The text style will be familiar and the child goddess talking is seen later in Minerva. This is a MUST play for all Sp players and at 3MB it’s perhaps the greatest return on your bandwidth ever. This reminded me very much like Radix, then I noticed Unq was in the end credits so I’m guessing he played a big role. I’m surprised that there are only two PF recommendations here because this really was flawless. 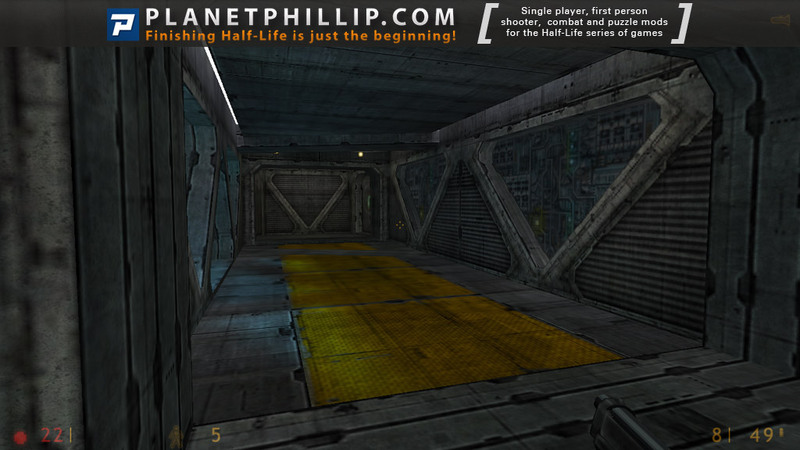 The gameplay, story and textures were all done to perfection, as well as good map design, length and difficulty. There was a mix of combat and puzzles both of which were fun and well placed. The difficulty of the combat was pretty tough, especially near the beginning but certainly playable as well as the amount of ammo, health and hev given to you being limited but enough to actually finish it. 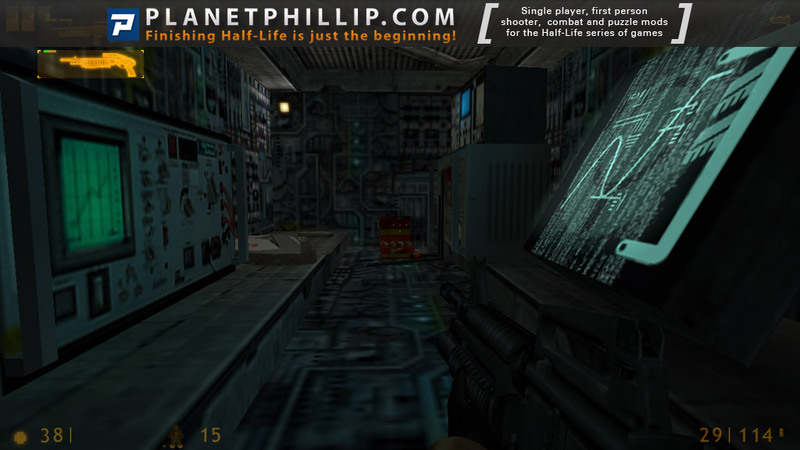 Textures were a mix of HL and custom ones, which were very similar to Radix and great to look at and play in. The story was the stand out part of this. Compared to yesterdays entry which was a good idea but poorly executed, this one was a simple idea but brilliantly executed. You aren’t forced to look at the story, and you can also fight while you are getting the feel for it. I found that the story also sucked me in, which was the first time this has happened to me during the 100SDoN and is very rare to see in mods except for the popular/famous ones (Poke646, AoM, HoE, etc…) which just shows how good this mod is. 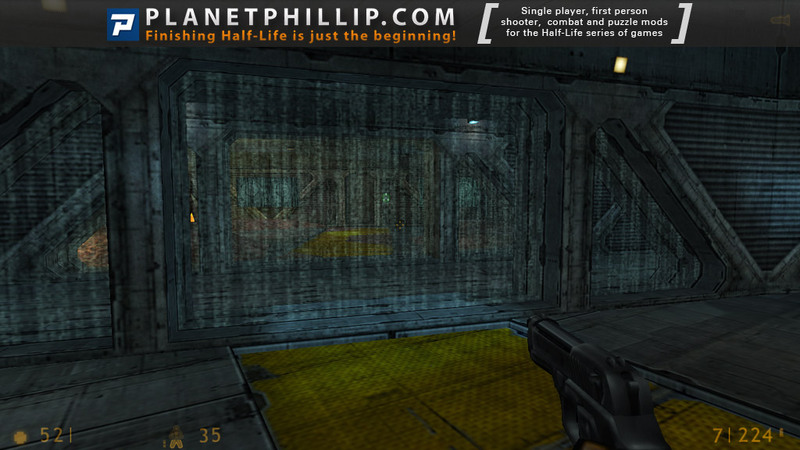 Probably one of the best HL mods of all time, like Phillip said, go play it now. Nope, no big role. 🙂 Radix and Someplace Else were developed separately and simultaneously for PQL. Adam and I beta tested each other’s map but other than that and general PQL camaraderie we didn’t influence the other’s work. Wow does not say enough! I was afraid the 100 would end with a whimper not a bang, this however was a real blast. When I saw that it was by Adam Foster my expectations were high, but when I saw the screen shots were all Xen my heart sank, I just don’t like Xen! Boy oh boy was I in for big a surprise! This was Xen done by Adam Foster. This looks so good that other mappers/modders of the same era, who used Xen settings should hang there heads in shame. So what of the gameplay? For once I didn’t care I was transfixed by the stunning visuals. 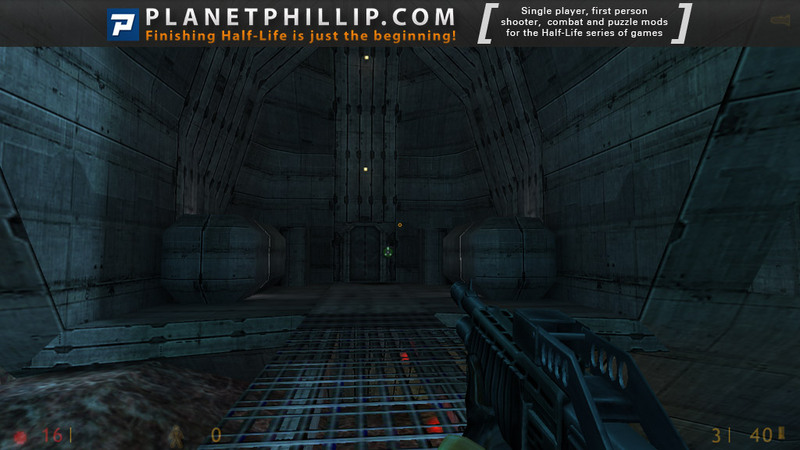 There was nicely balanced combat but the overall look of this was the best of any HL based mod/map in the 100. On top of it all I don’t like back tracking but in this, again because of the visuals I just didn’t care. If you don’t play this you have missed out on the best of the best. When I originally downloaded and installed this mod, it wasn’t on a good computer, and I had barely started learning about mods. I got as far as the first cliff’s edge and gave up. That was sometime early last year. I should have figured that one of Adam’s works would top off the 100, and I should have realized I needed to give this mod another chance. I might have forgotten to change the control options that first time, too! This mod is so superb, and so very clearly part of a bigger whole. Excellent – and snarky – storytelling, beautifully crafted maps, wonderful textures. Not a large map, either: this is a reasonably small, single-load map! What a great way to work through a space. The visuals and impacts of each section of the map are all marvelous. We find ourselves in the Xen cave. We pick up the crowbar. There is a bullsquid ahead of us, and two Alien Slaves behind our back. We have to contrive to make one of them hit other in the back. 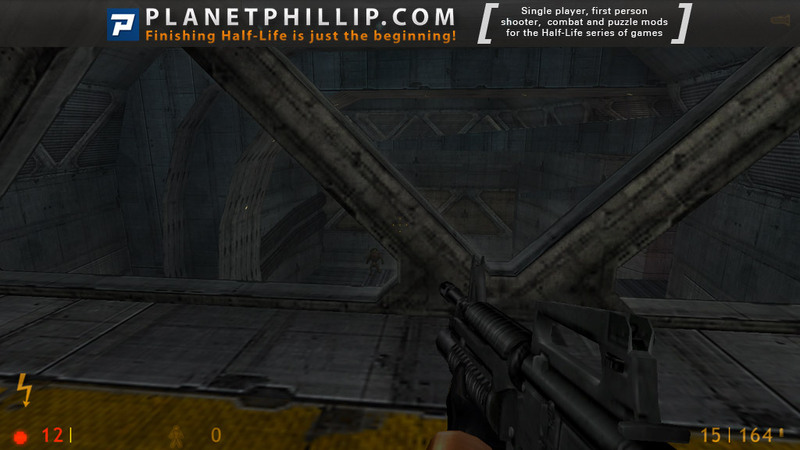 The design and gameplay are unusual, and I agree with Phillip about the well done usage of layout. These “ancient buildings” are done in original style, but they don’t really feel like a part of Half-Life universe, because they’re so different. Which reminds me of mod Cleaner’s Adventures. 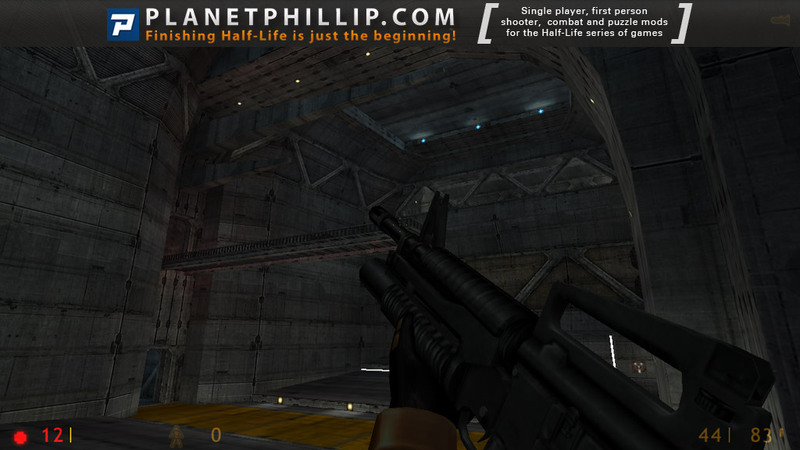 Its “Old Black Mesa” didn’t look like Black Mesa and would not feel like a part of it if was standalone, but before it we complete many levels in the style of usual Mesa, which changes the situation. So I suppose that if we completed one or two levels of usual Xen before getting to this base, it would look more convincing. It seems that we are one of those Xen explorers in HEV suits. We receive some messages which develop mysterious story, it is also connected with our surroundings: one time the message said something about the dead soldier, I then saw his dead body and understood that he fell because he wasn’t careful enough with the gravity nullifier. The Someplace Else’s world is hostile and dangerous. Monster placement leaves us less chances than usual. So you really should play on easier skill. The ending cinematic is very well directed. This map is original, well made and polished, and that’s why it is worth checking out. 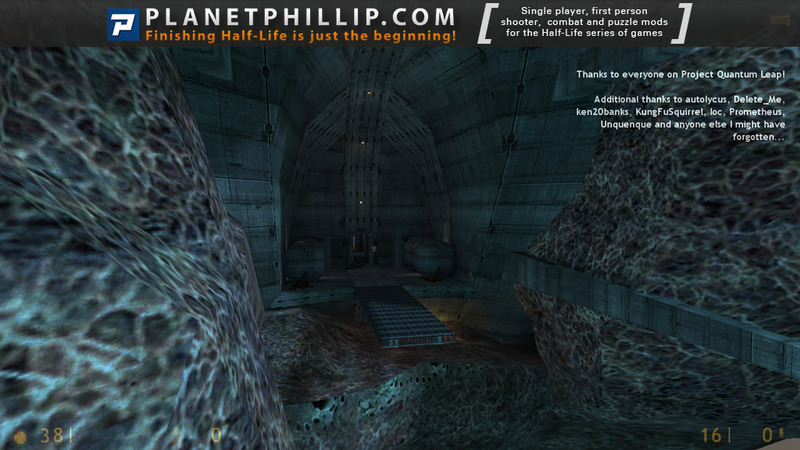 Quick disclaimer first: I beta tested this map, and of course it was part of Project: Quantum Leap which I worked on. That said, this map is even better now than it was upon release of PQL. Not only has Adam added detail textures (overlays that kind of look like bump mapping for the Goldsource engine) but Someplace Else also ties nicely into Minerva. The narrative is crafted to intrigue you without providing any real answers and it’s done beautifully. I think it’s a little awkwardly presented, since there’s a lot of text sometimes while you’re in battle which is distracting. Even more reason to play this one more than once, though. 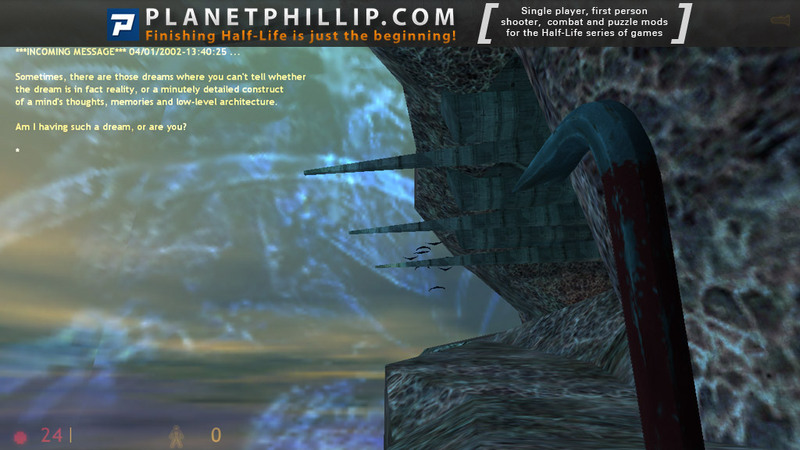 The setting is unique – Xen looking better than ever, and no live grunts to be found. This is still a tough map since often you’re taken by surprise and sometimes surrounded. Nice use of music and nice touches make this one stand out. I still wonder why it took so long for Valve to scoop Adam up. What a great mod to end the 100 DoN here in PP, I mean this mod is at the top of the pops, because is a classic jewel, I mean perfect lenght for the perfect quality, and you can feel the MINERVA spirit in all the whole mod, it is done by now the Master Adam Foster who made his dream of working at valve in gaming indusrty true, so good for him. 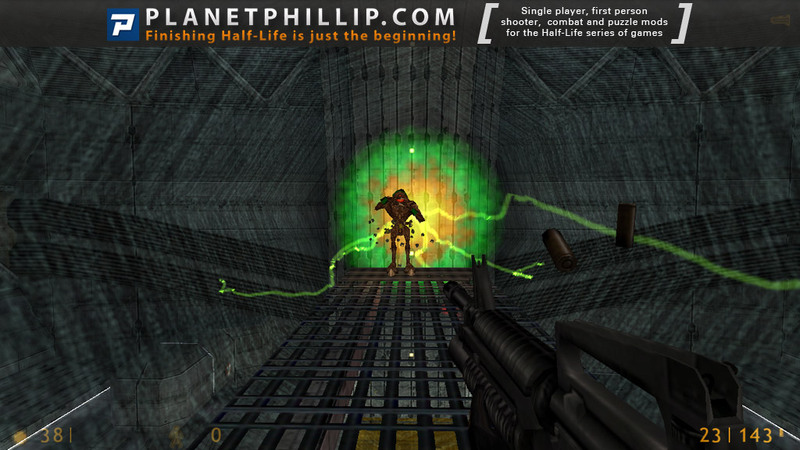 Also is strange this is one of the mods I remember clearly, so that means is good, the layout and paths into it are clever and the battles against the xeninans, are also good fitted in the way so it has all it needs to be an all time classic in HL1 modding world, definitely. 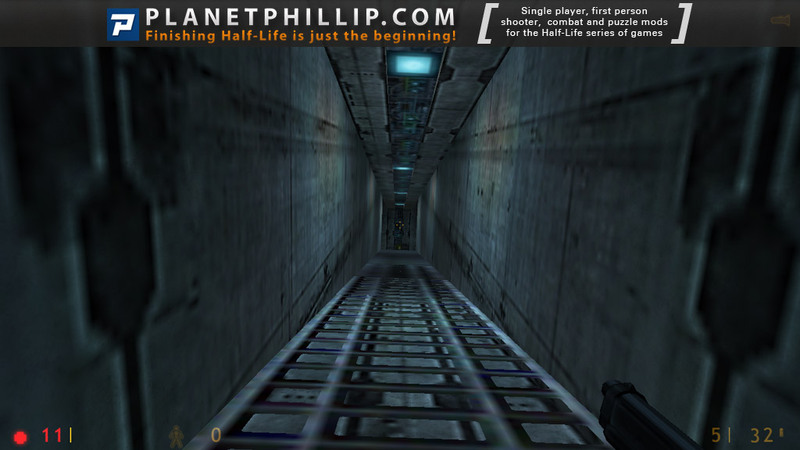 I was hoping Twisted Hazard Course (my favorite Half-Life map) would have been on 100sdon. I like it but not THAT much. This MOD or rather map is 20 minutes of FUN!!! quite a lot of creativity to design a map for a world such as Xen. The mapping has a professional feel about it. Now just waiting for someone to design the Race X home world. Another Xen map… you might be thinking. But hey wait a minute, this map is ublike any other Xen maps. No jumping around stones, going through portal after portal, killing endlessly respawning aliens, crawling through irritating glowing duct vents, breaking barrels only to find an Alien Grunt inside. No sir, this is nothing of the sort. Just play it and see :D.
The enemies are meanly placed >:D. You would require quite a few manoeuvrings to beat them. If you guys like a challenge, play it in Hard difficulty mode. It’s kinda Run-N-Gun Style map. Also the health and ammo are just enough to play with but you will die quite a few times before you are done with this map. The outro or credits scene is nice too. The only thing that feels wrong in this map is the crowbar present in the tunnel. I couldn’t find anything else wrong about this map =D. Wish it were a bit longer though :\. Not understandable that many, many people say it’s great, epic etc. ..so if someone wants, explain it to me! Okay, what are the facts? 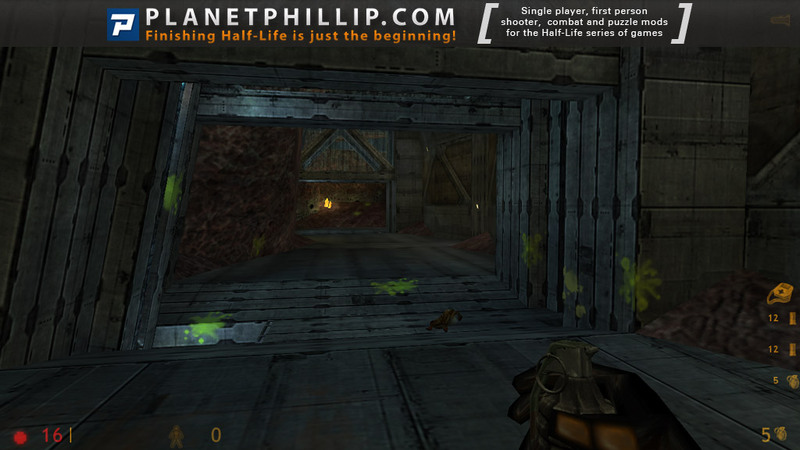 It’s taking place on Xen, which I never like, even in Valve’s original HL universe. But however, no problem.. as long as there are no stupid jump sequences required.. The mapping is quite basic if you ask me, yes the textures and lighting are neat but graphics aren’t all! Also I don’t see a real story just besides odd text messages about being in a dream, pfff! Balancing is also a problem, why put almost always more than one alien grunt in the place? Combined with alien slaves it can cause an instant death, what a shame! There are a few more flaws like entering the small shaft leading to the ladder, I kept falling down to the dead soldier first (and I found him already before seeing the upper cave entrance, texture for “secret” entrance was suspicious) and also the gameplay itself. Yes you have to hit a button and walk back to the very start, which was kind of disappointing as I expected it will continue in the large dome area..
All in all in wasn’t really fun, the atmosphere with some music tracks is good but not excellent. Tactical combat is always required unless you want to die quickly. That’s positive as the AI is quite good here, the alien grunts were following me, such as the alien slaves. 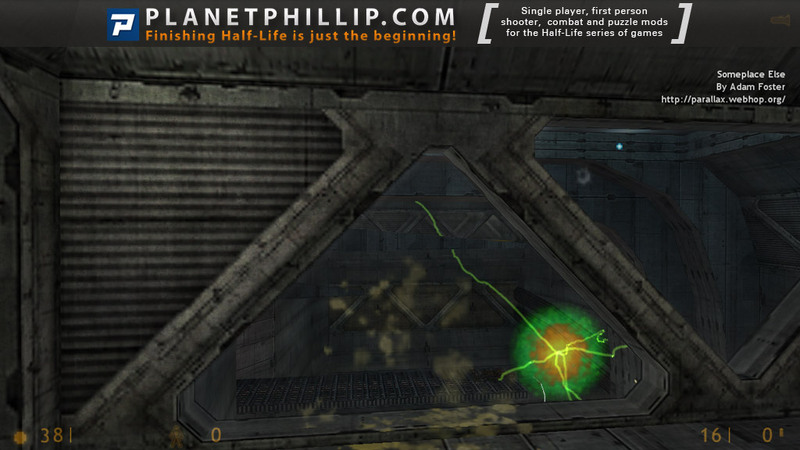 Except one time as I replayed it one alien grunt was running through the electrified area, committing suicide. Nonetheless, I still cannot imagine how the heck this map should be just awesome, sorry! -Balancing (combat) – more is less? -Enemy placement is pretty obvious, you always know where they are before entering a new area – plus, some are just mean placed, you’re surrounded or they’re hiding / waiting behind something, pff! -Way too easy, if only the combat.. Conclusion: Don’t get blinded by the graphics, it lacks of many other things which are essential. I wish I had heard about this sooner. The graphics are fantastic for Goldsource, the gameplay is very difficult but never unfair, and it takes Xen and makes it enjoyable! 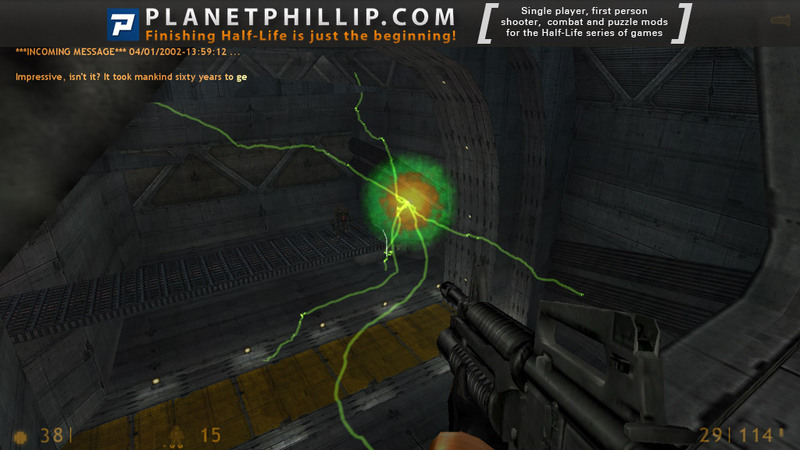 As well as the Xen environment, there is a mysterious ancient structure, which surpasses much of Half-Life in attention to detail. All this is without mentioning the intriguing backstory. It is a spiritual predecessor to Minerva: Metastasis, and I hope some day we will see more of the mysterious plot which was started here. This was a good short map (mod?) to play, but I was blindsided because I chose training. There is no training, it started the game…i kept thinking, “WOW! If this is training I can’t wait for the intense main game”. I didn’t have much difficulty fighting the enemies as I took a creep until I see a limb to shoot and kill approach. The layout was very good, but the power switch to open the last door before the portal wasn’t good, neither did finding a stash of ammo & health by it make sense. P.S. I read the comments after playing the map & I don’t understand what everyone is excited about. Maybe because most of the comments were five yrs ago & it was more an impact then? Wow. This is simply the absolute BEST Xen mod I’ve ever played. Most Xen mods have the same Xen textures and a lot of platforming, but this one is completely different. The story is that our protagonist starts in some ancient machine (i think) where his goal is to survive. While you’re playing, different messages come from an unknown man, that sometimes tells you hints. I liked that idea. The combat is top notch. The enemy placements are just perfect and ammo is a bit scarce, especially in the beginning. The textures look unbelievably good. The possibilities with this creator and this mod could make the GoldSrc engine look like the Source engine! There’s nothing bad about this mod. I loved every minute of it. This mod is simply spectacular. Its challenging enough to give you a good dose of adrenaline but not so hard that its cheap. The new textures made me actually like Xen. The transmissions are the best part of this mod. They are interesting enough to hook you, and keep you hooked till the end. The way that they discreetly give hints on how to solve the puzzles is amazing. There are multiple times that the messages cause you to internally say: “oh sh*t I’m screwed’ as you realize your next challenge. This is an amazing mod that you need to play right now! This is a very short Mod – but it plays great with well thought out NPC placements and can be a little bit difficult the first time you play… which is good! It looks great, well thought out map design ambient feeling of the map and filled with little details that give that ambient feeling. If you’ve got 30 minutes to spare you could do far worse than giving this a try. “Disappointed” is the best way to describe how I felt after ending the first modding attempt of MIVERVA’s developer (who since joined VALVe). We are back with that mysterious voice/A.I. sending messages throughout the story, to give some guidance to the player. We also have the first attempt to give some “verticality” to mapping, this time in GoldSrc. But beyond that, it’s just classic battles sometimes unfair… the ending is quite abrupt… I expected “more”… But it was still good but not a master piece. For some reason, the dev’ is one of the few to have done better in Source than in GoldSrc. I must have played this mod half a dozen times before I realized (and played) its primary inspiration: Marathon. Indeed, if you look closely, you can spot the Marathon logo on some of the terminal screens. In short, this is a single-map mod built on two rather unique premises: One, it’s entirely set in a rather strange, futuristic place (resembling nothing so much as the ancient but curiously human-style Jjarro installations you visit in Marathon Infinity) somewhere in Xen, jammed roughly into Xen’s creeping, fleshy soil. Two, the plot is told entirely in lengthy text messages that appear on your screen, some unseen entity directing you. But by the tone of those messages, as well as their structure (each with a timestamp) it’s very obvious they’re intended to mimic the terminal messages you read in the Marathon trilogy, as well as the primary author of those messages: Durandal, the rampant AI who triggered the events of the first game and by extension the entire trilogy. And you thought the Marathon logo was just a sneaky reference, didn’t you? Some of the things this anonymous communicant has to say are alarmingly vague; sometimes I can’t help but wonder if they’re making reference to Marathon directly, or to some other game, perhaps Halo? Or both? Or neither. Such is the mystery of Someplace Else — it’s difficult to determine how much is buried between the lines and how much is Adam Foster messing with us by proxy. There’s a story here, but it’s hard not to think: it’s not your story. You’re just lost, in a place neither high nor low. As far as gameplay is involved, don’t expect an easy time. The early minutes have you running about in a few tunnels as you look to unlock your way into the installation above, but when you get to the cliff’s edge things suddenly heat up a bit. As you work your way into the installation and eventually into its upper levels you can expect to face some stiff resistance; while it’s never overwhelming, it definitely requires you to think on your feet and manage your ammo. 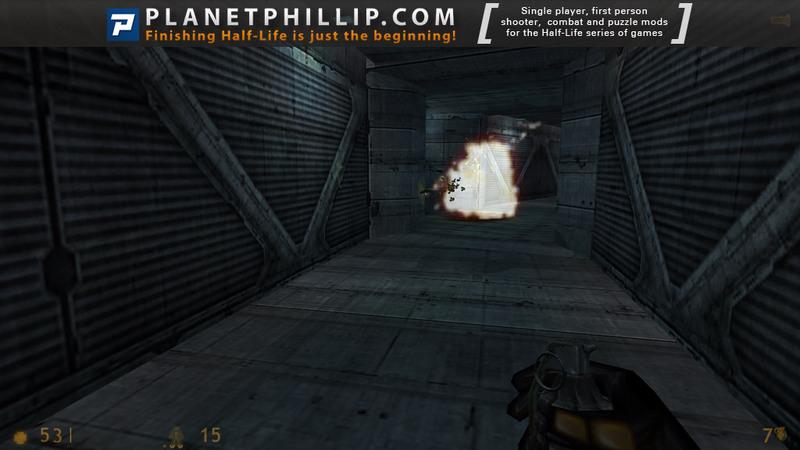 In recent years when I go through the Half-Life series, I eschew all mods that aren’t official expansions save for this and Minerva. 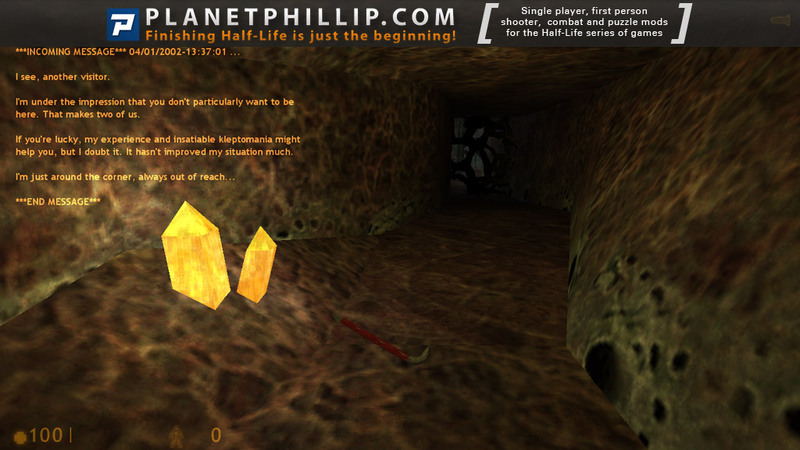 Easily my favorite GoldSrc HL1 universe mod. 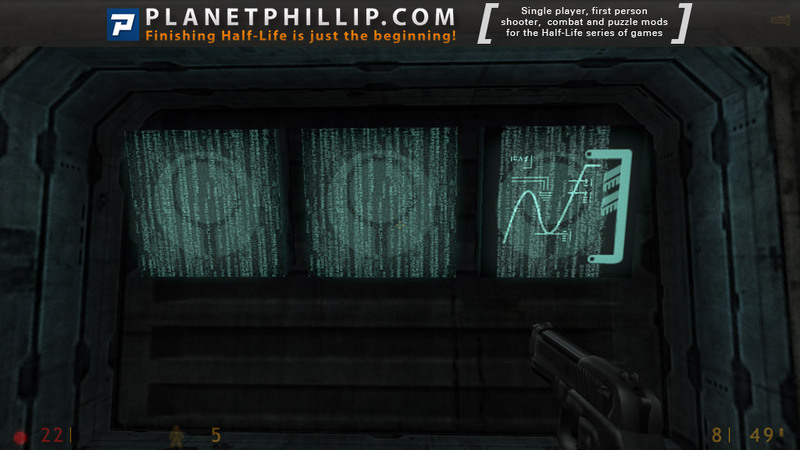 Do androids dream with Half-Life? One of the first single player mods i ever played for the original HL. While it’s incredibly competent in every department, issues like cheap enemy placement and not-so-tuned combat arenas make Someplace Else a niche recommendation for me. Levels are beautiful, Adam Foster proved to have an incredible eye for detail and level decoration. Props for the amazing texture work. The strong point in Someplace Else for me has always been about the story. A superbly written sci-fi trip in the likes of Asimov and his robot stories, quantum physics and all. 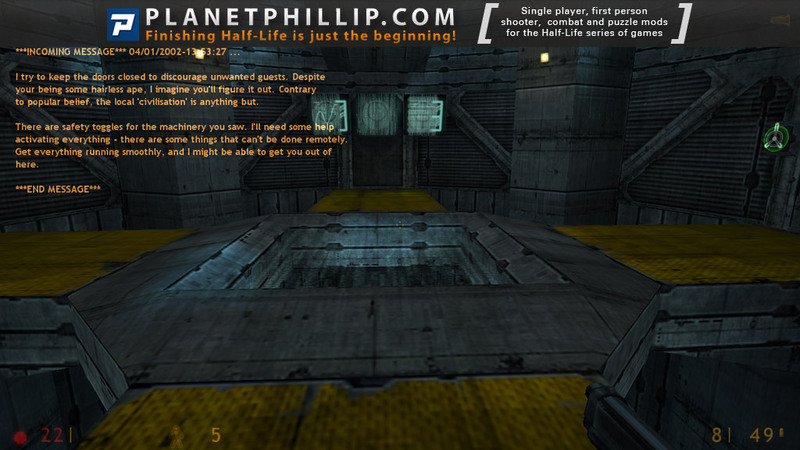 Story is told through a message log, and it has this Valve quality charm that we’d later find in Portal. If you’re not into taking your time, enjoying the level design and getting immersed, then i really cannot recommend Someplace Else for you, since the combat is one of the weakest aspects. Unless you’re into punishing artificial difficulty like i happen to be. Despite that, i consider Someplace Else to be a solid 8/10. Try it, it really is one of the most tasteful SP mods out there. 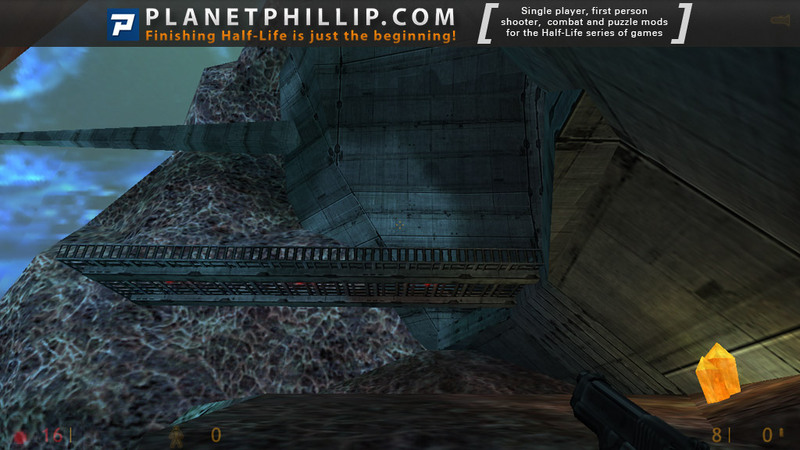 Second Half-Life map (not mod) i ever played. I saw reviews about this mod and thought this is going to be a really good map , but it wasn’t as good as i expected. At start it was hard , later it became boring as hell. Yeah , story was mysterious and really deep , but it wasn’t that GOOD! 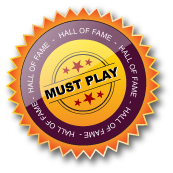 There are some maps/mods that are far better than this , but they aren’t in Hall Of Fame. This map is okay, but it’s not EXCELLENT as many people are saying.